11.04.2013, Books, by Jack W Perry. 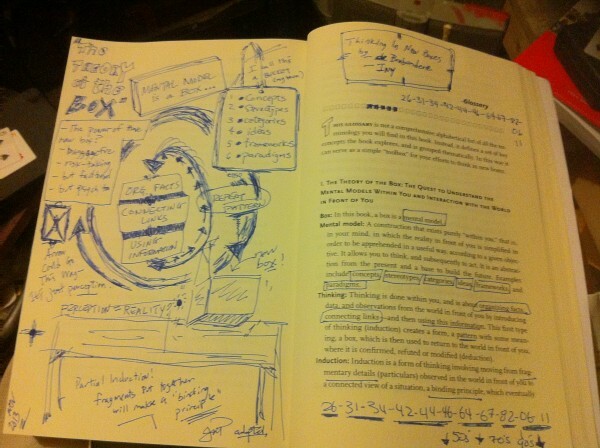 One of the books I am currently reading is titled THINKING IN NEW BOXES – A New Paradigm for Business Creativity. The book is written by Luc de Brabandere and Alan Ivy of the Boston Consulting Group. It is edited by Random House executive Will Murphy. Like all business books, it has it’s usual take-aways, graphs, tables, catchy phrases and lists. Also like many business books, the authors are consultants or “thought-leaders” who travel the world espousing their wisdom. This book is no different than the usual business tome — but I am enjoying it quite a bit. I never read a business book from front-to-back. I always skip around. I may read the last chapter first or the index. I also like to write in the books. These are both reasons why I seldom buy business eBooks. I much prefer the paper form. It is ideal for writing notes and for flipping around. I have found that digital just doesn’t deliver the same experience. 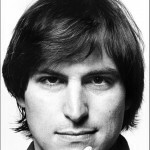 So, I may read a business biography (STEVE JOBS by Isaacson) in digital form but not management or policy books. For THINKING IN NEW BOXES, I found a wealth of information reading the first page of the Glossary. I don’t expect this outline to mean much by itself. But having read enough of the book, it does make sense. It helps me to review projects in a new manner and to explore beyond the obvious. 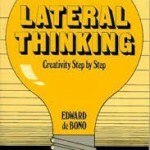 I link this thinking to Edward de Bono’s classic work LATERAL THINKING.